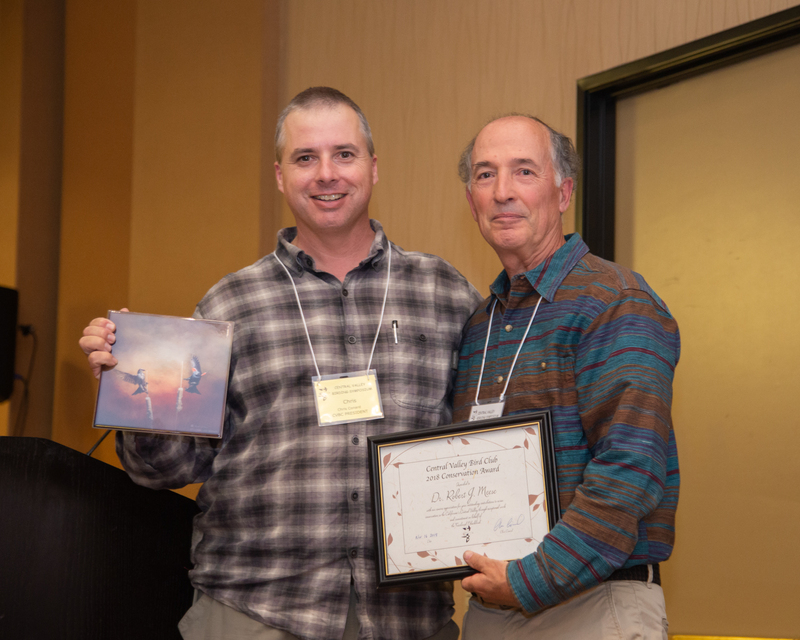 The 22nd annual Central Valley Birding Symposium was held November 15-18, 2018. This was perhaps the most challenging Symposium in our history. With the catastrophic fire raging in Butte County, air quality in the Valley was deemed hazardous in many locations. Yet despite having to relocate several field trips to more breathable locations, participants were amazingly flexible and we had a wonderful time in the field despite difficult conditions. Thursday evening began with an early 100th birthday celebration for Louise McCullough. In addition to participating in the Symposium for 21 of 22 annual events, Louise has been an extremely generous sponsor. We established a new fund in her name to enable the Club to broaden our search for speakers at the Symposium. Ed Harper then gave a wonderful photographic program, this year highlighting "Northern Delights" that have made their way to Central Valley. Field trips on Friday were followed by the popular photo ID panel moderated by Ed Harper. 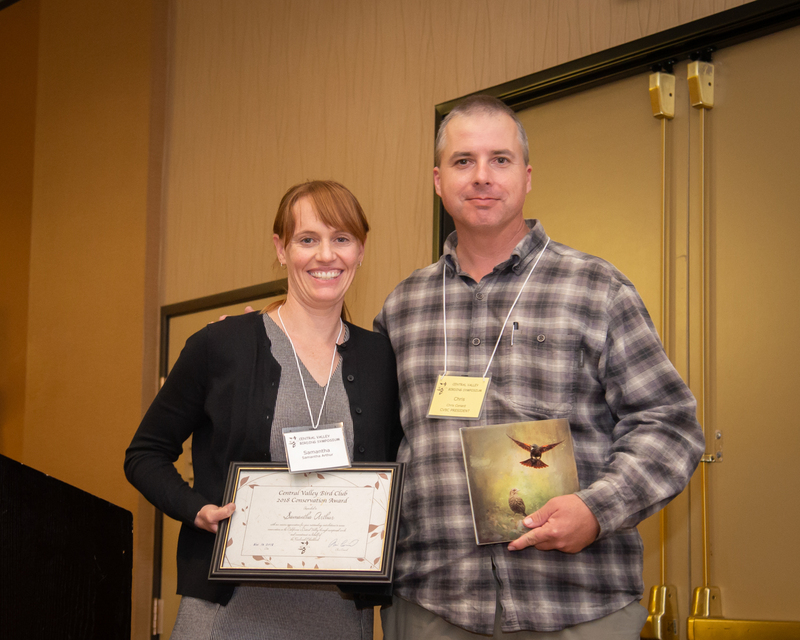 After dinner we presented the first annual Central Valley Bird Club Conservation Awards to Robert (Bob) Meese, Samantha Arthur, and Neil Clipperton. They have each played key roles in securing protection for the Tricolored Blackbird as threatened under the California Endangered Species Act by establishing programs to monitor, research, and protect habitat for the species. Many Club members have participated in aspects of these programs over the years. 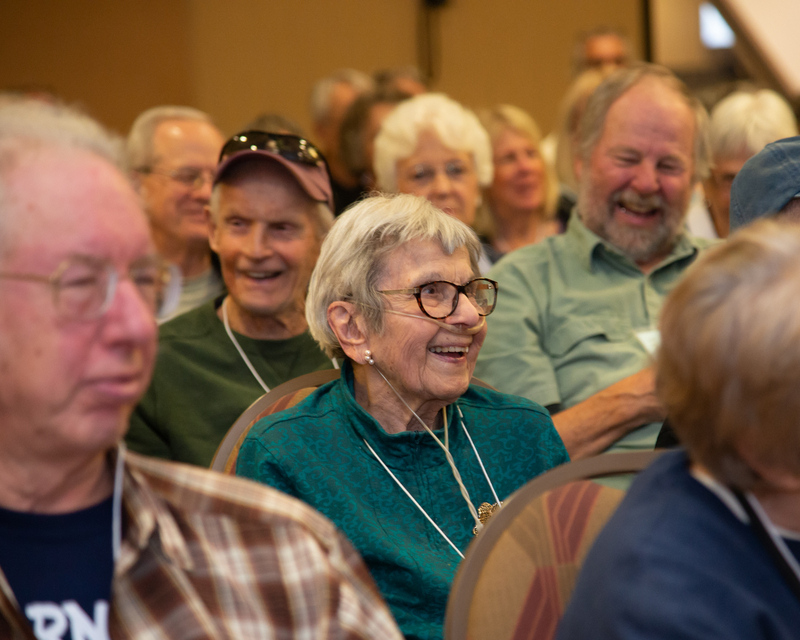 Ed Pandolfino followed with an entertaining and informative presentation on what we have learned about bird migration in recent decades through advances in technology, plus some of the many new questions that have been raised. Saturday began with local field trips, image editing, bird sketching, and beginning birding workshops. 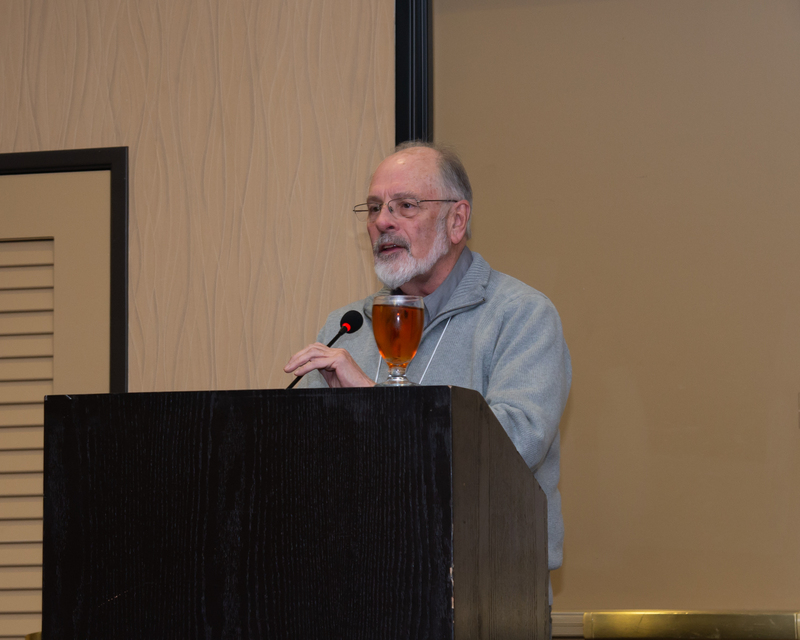 Bulletin editor Dan Airola organized a series of short talks on studies and conservation topics, including quantifying bird population distribution in the Central Valley, an overview of the eBird-based Sacramento County Breeding Bird Atlas, individual variation in use of Wood Duck boxes, and Swainson's Hawk migration routes and wintering sites. Beginning birders had the option of Sal Salerno's birding class and after lunch field trip. 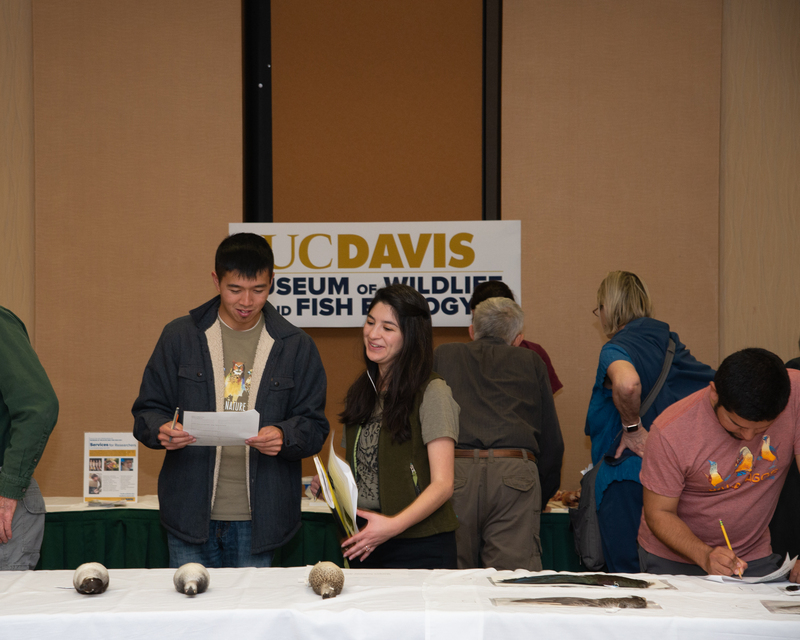 Andy Engilis and crew prepared an afternoon specimen workshop focused on similar species in the Central Valley, species and their habitat relationships, and some difficult ID challenges. At the lunchtime Club meeting, we thanked departing board member Dan Tankserley for his more than 10 years of service. Pat Bacchetti took over as president, Cliff Hawley assumed the office of vice president, while Chris Conard and John Sterling stepped down from those roles, but remain on the board. We also welcomed new board members Dan Airola and Lily Douglas. The new officers and board members (http://www.cvbirds.org/cvbc-board-members/) were approved by the Club membership. 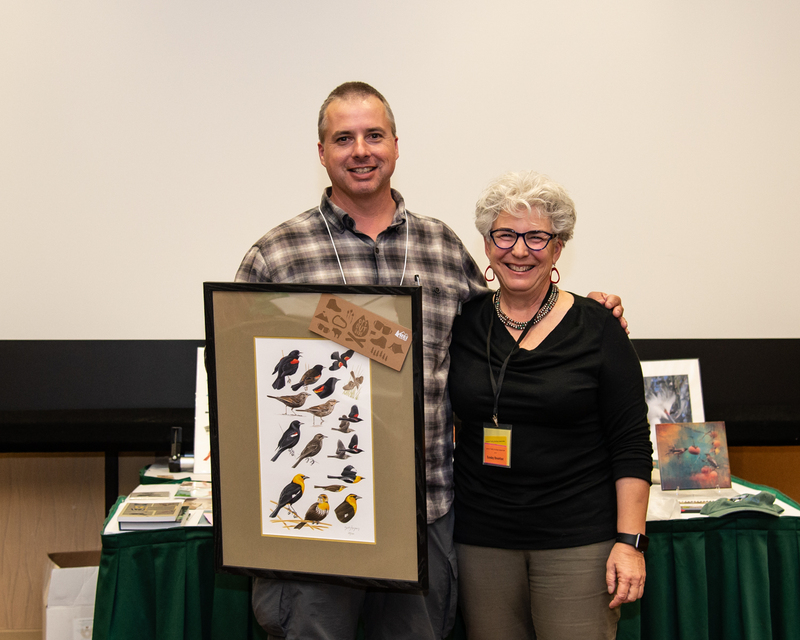 On Saturday evening we honored Joan Humphrey and John Trochet, who were among the founding Club members, for their many contributions to the Club, the Symposium, and birds and birding in the Central Valley over the past two decades and beyond. 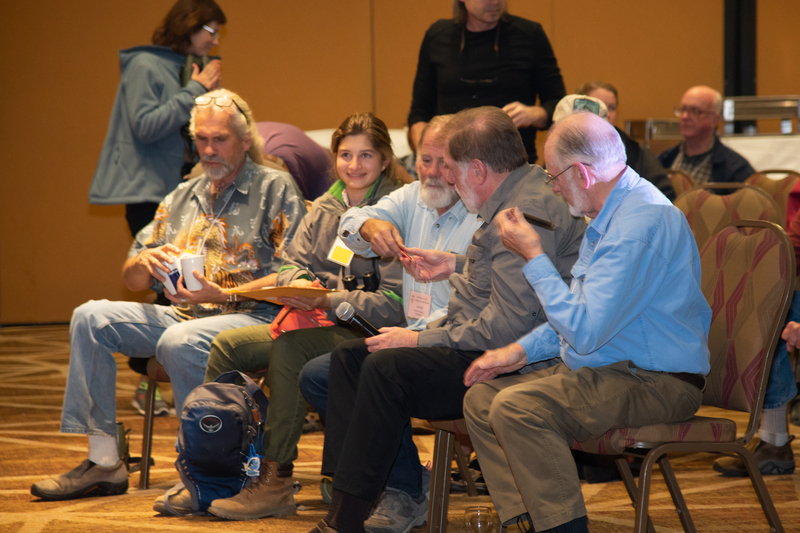 Fiona Gillogly, one of six Youth Scholarship winners in 2018, gave an excellent recap of her young birders trip to southeastern Arizona. Continuing on the theme of migration from Friday night, the Saturday keynote was by John Kricher, the author of the newly updated Neotropical Companion. He focused on the trade off birds make between the risk of migration versus the costs of staying put. Sunday morning offered a wood carving workshop (a California Quail this year), and talks by Joe Morlan focusing on "A Century of Field Identification" and Kimball Garett on tips for users to make eBird a better tool for reflecting avian reality. Afternoon field trips followed and another CVBS was behind us. Thanks to all the field trip leaders, speakers, vendors and exhibitors, sponsors, and participants. We hope to see you again in 2019--with clearer skies! 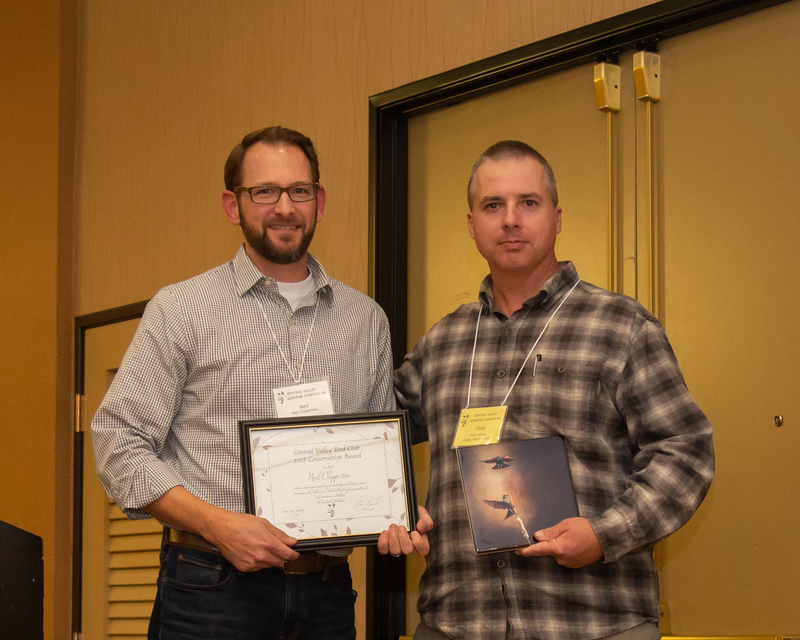 Chris Conard, Outgoing CVBC President. Patricia Bacchetti, Incoming CVBS President. 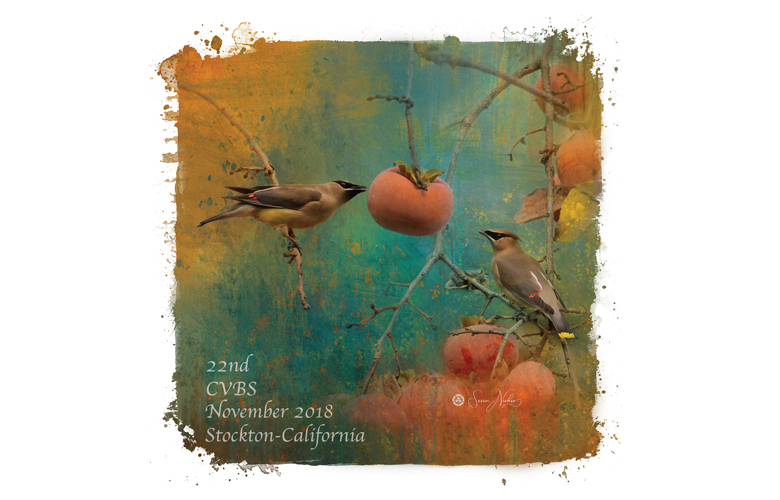 The Central Valley Bird Club (CVBC) is dedicated to the study of the distribution, status, ecology, and conservation of birds in the Central Valley of California.